This newly opened mountain retreat offers exquisite contemporary mountain decor, fine Colorado woodwork and beautiful hardwood floors. The Pines Lodge is located in the heart of downtown Aspen. This garden level condominium is decorated with an elegant touch and top of the line furnishings throughout, including gas fireplace, granite counter tops, steam shower and wine cooler. 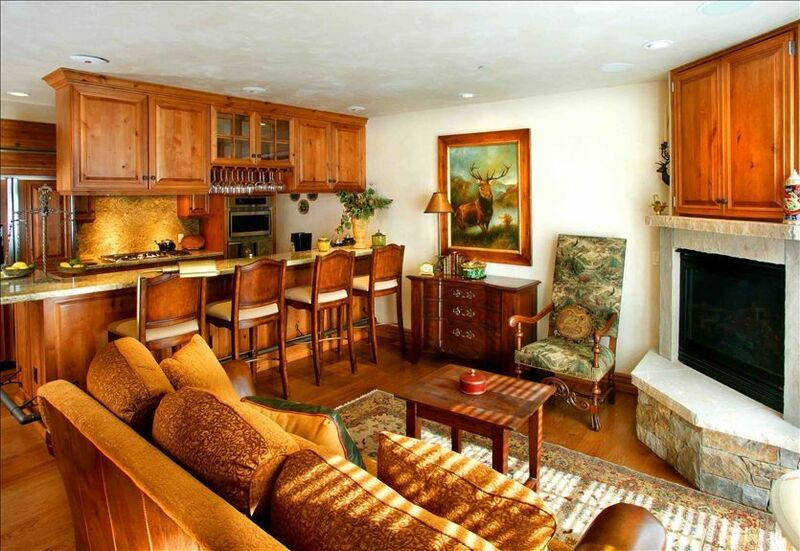 Enjoy the easy access to town and glorious views of Aspen Mountain. We were very impressed with this property at Pines Lodge. The listing information and photos were excellent resources as we were looking for a rental over the Christmas holiday. The location was excellent; close walk for ski bus, ski rental, downtown and resturants and a beautiful view of the mountain from the patio door! The property was very clean and well maintained and the interior was beautiful and up-to-date. The property manager was very kind and helpful upon our arrival with parking, questions and facts and recommendations about Aspen. We would highly recommend this property and hope to return here for another luxury "home away from home" vacation in Aspen.